Pictured are some of the visitors in one of the aisles of Art in the Park, an annual free event. 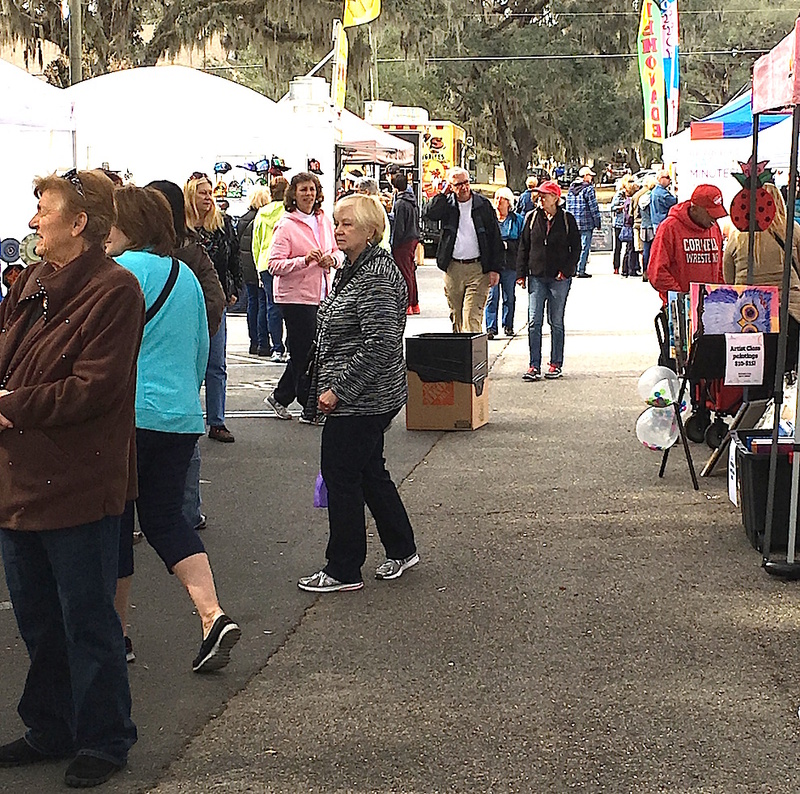 There were over 70 vendors showing their Arts and Crafts to the crowds of people attending. Some of the Crafts were necklaces, earrings, broaches and scarves, etc. Many art exhibitors showed their talents and they are talented. The event was held at the Log Cabin Lady Lake Florida. A great time was had by all.